The study, published in International Journal of Environmental Research and Public Health, shows how parents experience tugs towards ‘appropriate’ forms of vaccination behaviour in their social groups, and how non-vaccination is often viewed as a valued form of capital. Dr Katie Attwell from UWA’s School of Social Science said vaccination decisions were linked to broader behaviours around food, school choices and birth practices present in like-minded communities. “While there were differences between social groups in Fremantle and Adelaide, parents from both locations regarded vaccine questioning and refusal as a marker of distinction among their social groups. 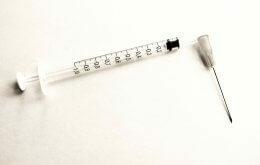 Many also believed that they were raising children healthy enough to navigate the world unvaccinated,” Dr Atwell said. The study suggested that pro-vaccine messages, designed by providers, public health officials or governments, needed to better equip parents who vaccinated to communicate safely about their choices with their peers who didn’t vaccinate. This could reflect the fact that new parenting was a vulnerable time for parents as they entered a new phase of life and sought to form new relationships.